Our professional Operating Engineer training programs are second to none. We have over one-thousand instructors, hundreds of facilities, classrooms, shops, and labs, and thousands of acres throughout the United States and Canada where apprentices and journey-level members hone or advance their skills. Our members have access to training on virtually every topic heavy equipment operators and stationary engineers need to become their very best. Our local apprenticeship and journey-level training center is situated on 300-plus acres in Wilmington, IL, about 50 miles south of Chicago. The center boasts 342,000 square feet of space housing an indoor training area, almost 200 pieces of heavy equipment, 30 classrooms, construction material testing lab, state of the art welding facility, equipment simulator lab, a 200-seat auditorium, and much more. Instructors are available to members six days a week, Monday through Saturday, except holidays. The indoor training arena is large enough to allow 18 plus pieces of equipment to operate simultaneously. Also, we are proud partners with OSHA to have established an alliance to advance health and safety training. What is a Operating Engineer? 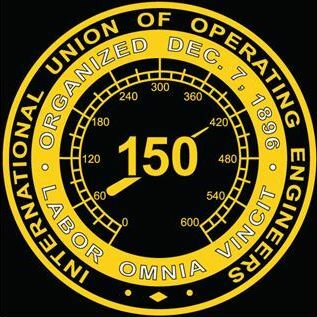 Operating Engineers cover a variety of job classifications in industries such as highway construction, building construction, mining, toll ways, municipalities, tunnels, slag, landscaping, power plants, refineries, railroads, quarries, plants that produce rock, sand and gravel, logging, utility work such as gas, water and sewer excavation. Whether working as heavy equipment operators, heavy equipment mechanics, or surveyors, Operating Engineers are the highly skilled persons who are found on any project using construction equipment. "Heavy Equipment" is the blanket term for numerous types of machines. Cranes, bulldozers, front-end loaders, rollers, backhoes, graders, dredges, hoists, drills, pumps and compressors are just some of the equipment utilized by Operating Engineers. In most cases, if it can push, pull, pump or lift material, rolls on tires or crawls on tracks like a tank, it falls under the jurisdiction of the professional Operating Engineers. Although everyone has their favorite type of machinery to operate, Operating Engineers are masters of a large variety of equipment. This versatility keeps you employable since employers' needs vary from project to project. Being a construction equipment operator can be a rewarding career. It requires good hand-eye coordination and a high level of physical stamina. Working outdoors is one of the advantages of being an operator, but the work is sometimes hazardous and the equipment is very noisy. Almost all of the work performed by Operating Engineers, including some of the mechanics work, takes place outdoors, in all kinds of weather and conditions. You can expect to be cold in the winter, hot in the summer, and dirty, greasy, muddy, and dusty in between. Successful Operators usually have solid math and problem-solving skills, high mechanical aptitude, good manual dexterity. It is suggested students have a fundamental understanding of physics and algebra. Written and verbal communication skills are also essential. Applications are accepted every November.